Grassington Festival, an annual multi arts and music Festival, has been providing a lively and enriching cultural experience to residents and visitors for 38 years with its combination of performances, visual arts and live music. For the last two weeks of June each year, Grassington comes alive in a myriad of colours and creativity as artists, bands, art enthusiasts and local people collaborate to entertain and inspire with unusual and unique live performances. 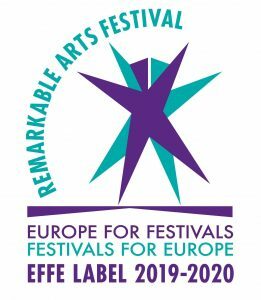 It is dedicated to making arts experiences accessible for everyone to enjoy and appreciate and to bring the community together to celebrate the best of music, theatre, dance, comedy, talks, workshops, walks, visual arts and creative challenges.